Non-profits are interested in changing the world. Investors are usually interested in making a profit. But when we look at impact investing and its results in the last several years, we find that the two are far from mutually exclusive. One perception that is common among social impact organizations is that raising funds for social good is a challenge. These organizations sometimes run into confusion or muddled perceptions that impact investing amounts to philanthropy. Those seeking impact investments must strive to educate potential investors about the potential of solid returns on impact investments. A study mounted by CASE of Duke University, Insight at Pacific Community Ventures, and ImpactAssets sheds some light on the viability of impact investments. The study currently has data on 6 impact investments, and it shows that returns range from 2 to 21 percent. Data from this study, as well as that from a report from the KL Felicitas Foundation on its impact investments, indicates that returns on investments generally rose and fell with markets. KLF’s various investments’ performances were roughly on par with benchmarks for cash equivalents, hedge funds, public equity, and fixed income. Steve Schueth, president of First Affirmative Financial Network, told Financial Advisor this month that the MSCI KLD 400 Social Index is outperforming the S&P Index. Those interested in doing social good while also turning a profit now have more options than ever. Not long ago, Impact Assets released a list of the top 50 impact investors. Included was Blue Orchard, which has invested more than $1 billion in microcredit. JPMorgan Chase has been heavily involved in impact investing. In the past, it had been involved in philanthropy but feels that it has a responsibility to its shareholders. 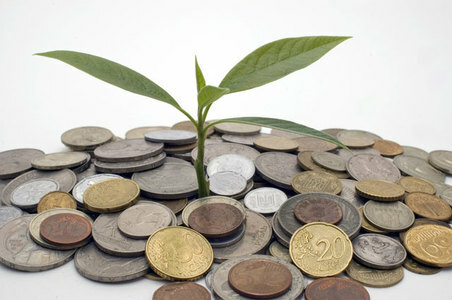 To that end, in 2007, it established its Social Finance Group. One investment was in an exporter of flowers called Wilmar Flowers. The capital will nearly double the number of flowers the company can import from Kenya. Again, JPMorgan Chase engaged in this investment because they thought it would bring a return. The Social Finance Group is an intermediary, a financial institution that can facilitate impact investing in a variety of ways. The report From the Margins of the Mainstream: Assessment of the Impact Investment Sector and Opportunities to Engage Mainstream Investors, from the World Economic Forum, illuminates some of the benefits of work by intermediaries like JPMorgan Chase. The might of these entities helps mitigate risk and create liquidity. Further, they lower costs by reducing the cost of information and lowering transaction costs. Other entities that can be very instrumental are depository institutions, wealth advisors, and rating and certification organizations. The WEF’s report concludes with some recommendations for the move to the mainstream. One of these most relevant to us is exploring new ways of attracting capital from large-scale partners. Specifically, investors should consider pooling funds with compatible objectives. This can help ease the partners’ concerns about entering in early stages.